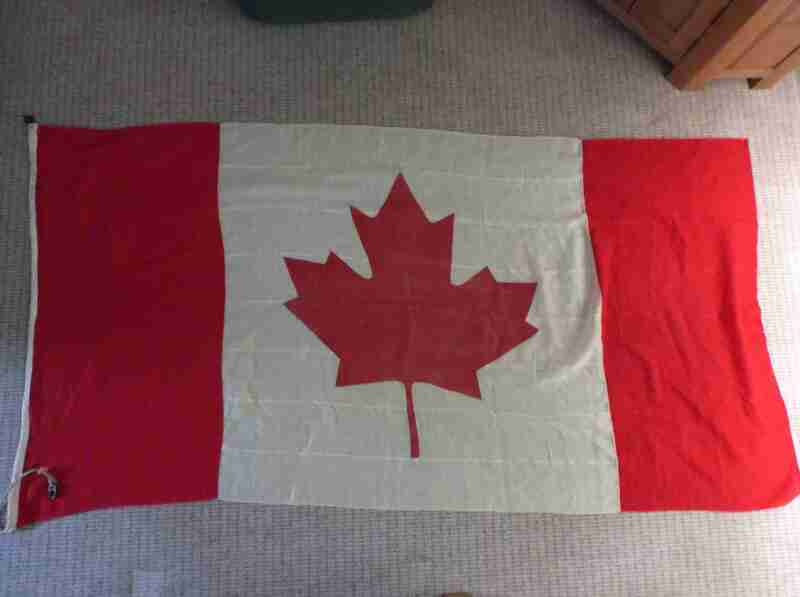 DESCRIPTION -- Houseflag from a Canadian Shipping Company and is in a great condition and the size is 90" x 47" (230cm x 120cm). DESCRIPTION -- This particular flag is from the old P&O vessel the Canberra and was used during the falklands War in 1982. It is an old full size P&O Houseflag and is ex stock from the store of the Canberra. It was reputedly used on the return from Falklands War and flown on the Canberra. The size of the flag is 11ft x 7ft (335cm x 213cm ). It has some slight damage with regard to a few holes but otherwise is a nice piece and a genuine item.